Choose this option if you have already registered for the 2019 event and want to attend another location! Ron and Fernando have touched a lot of lives with the Seriously Smart Success Tours. This is our 6th year running! We are excited to bring you the next two-day training experience you have come to expect from Seriously Smart Technologies! We are spring-boarding off the amazing 2017-2018 two-part tour and going deep into our biofeedback panels as we share four big topics. As always, we want to share new tricks and tips for being the best biofeedback practitioner for yourself, your family and your community. Those that have attended an SST Training event in the past know that we prefer to find the foundational reason for the lack of wellness in a client’s life rather than focusing on the symptoms. 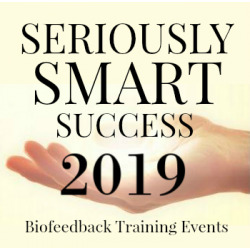 This means we will bring a full two days of current biofeedback training to 9 cities in 2019. For those whose busy lives and families preclude them from attending one of the 9 live events, there will be two online webinars. One during the week and one on a weekend. This two-day event will be 15 CEU’s and will be in the Spring of 2019. Each day will be 9 am to 6 pm with a 90-minute lunch break. We also have more news for the 2019 tour! #1 - We will have a Mandelay representative at each of the 9 live tour events. #2 - Emotions! The Architects of Disease was recorded on April 14th at the Ft. Lauderdale event location and will be re-played one time only on June 7th via webinar. The recording of this special bonus event will NOT be available to watch later. 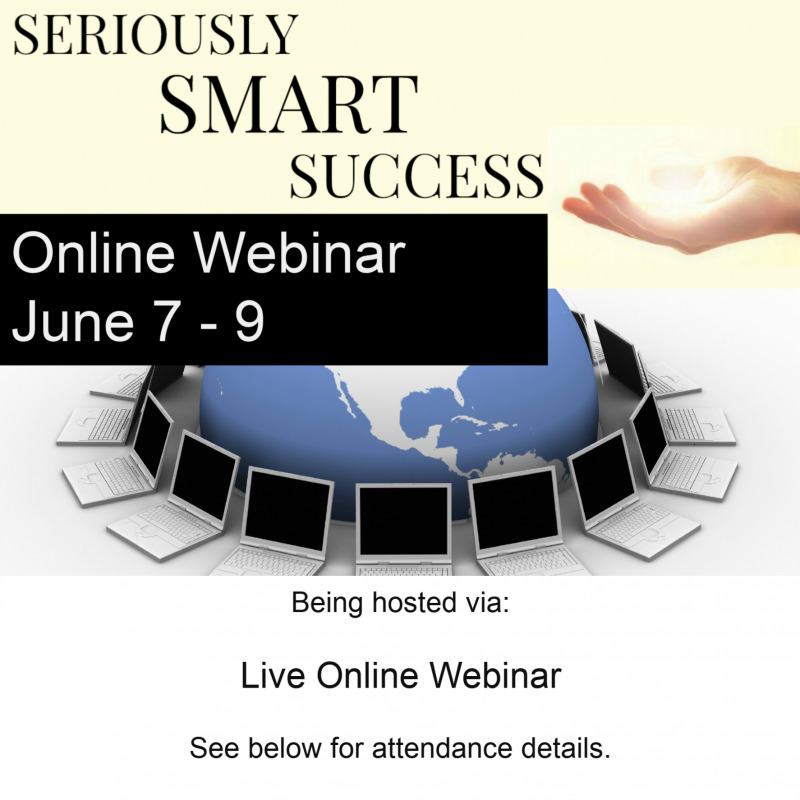 Plan to attend live on June 7th via webinar. Only those who attend will receive the extra 5 CEU's. If you register for ANY of the 2019 events you will be automatically registered to attend the Emotions webinar on June 7th. No need or register separately. 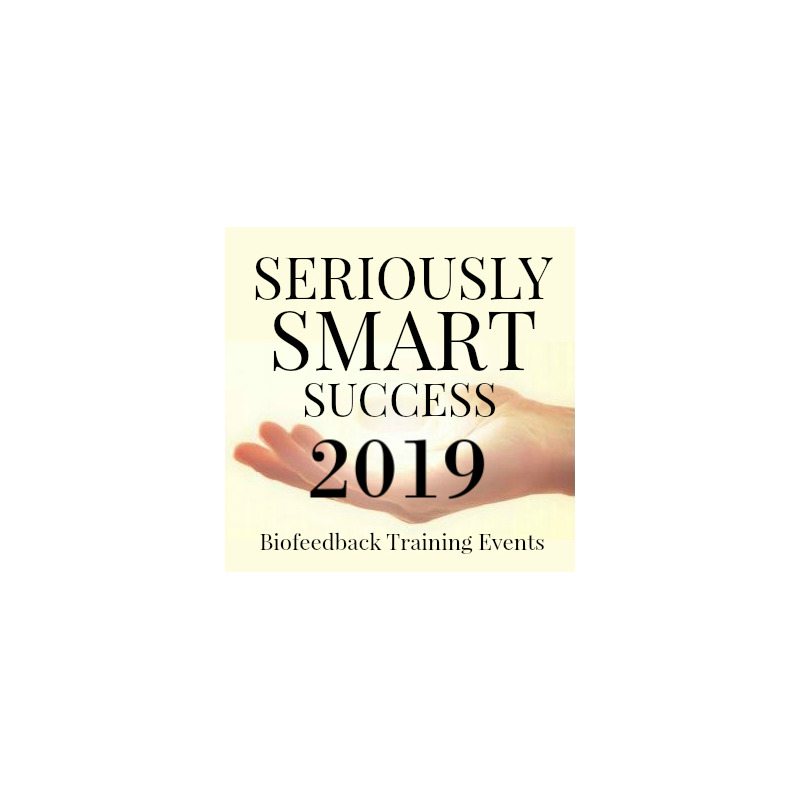 Use this springtime of renewal to renew your passion for using your biofeedback equipment and join Ron and Fernando at one of these 11 Seriously Smart Success Training events. CLICK HERE TO PRINT TECH SERVICES INTAKE FORM - Fill out this form and bring it with you on Day 1 of the event. Ron will be available to check-in your equipment by 8 AM. All live events will have free tech services available. You are allowed to bring 1 Biofeedback System for free tech services. (Biofeedback System is defined as 1 Laptop Computer, 1 SCIO, QUEST9, INDIGO or Eductor device, 1 Power Adapter, 1 USB Cable, 1 Head Harness, 1 Limb Harness NOTE: Accessories are not included). Please note that webinar events do not have Tech Services. Biofeedback Software Updating if needed. NOTE: Virus removal, Windows Error troubleshooting, hardware repairs, and other computer-related technical support should be addressed BEFORE this training event or the computer maintenance may not be able to be performed. There will not be enough time to accomplish those services at these events and it is not being offered. Please call SST if you have any questions. For updates to biofeedback software, please make sure you have your Mandelay or QX World Ltd. device account login and password with you. You will note that many of the hotels limit the dates allowed to book online for the group rate. If you wish to extend your stay to arrive earlier or stay later than what online booking is allowing you to do you can book your stay online for the dates allowed. Then contact the hotel by phone directly. Provide them with your confirmation number and ask them to change your reservation dates manually. Some hotels may extend the group rate. Some may charge the group rate for some days and then the list rate for your extended days. It depends on the hotel. Other Amenities: Thoughtfully designed for the modern business and leisure traveler, Holiday Inn Austin-Town Lake offers exceptional amenities and a scenic setting on Lady Bird Lake. Take a rejuvenating swim in our beautiful rooftop pool. Enjoy a healthy workout in our fitness center, featuring weights and advanced cardio equipment. Our Austin hotel is an ideal destination for corporate travelers featuring extensive meeting and event space, free wireless Internet and a business center. We also provide a City Guides and bicycle rentals, so you can explore our beautiful and vibrant city. Experience one of the top Austin restaurants at the Holiday Inn Austin-Town Lake. Enjoy Texas comfort food in a casual ambiance at Pecan Tree Restaurant. Decorated in natural earth tones, our eatery serves breakfast and lunch buffets that Austin locals line up for. Meet for dinner and enjoy steaks, grilled chicken, salmon, home-style chicken fried steak, salads, sandwiches, and sizzling fajitas. For some Austin nightlife, stop by the Tavern Lounge on Old Town Lake. Relax with a cold beer or glass of wine paired with spicy fajita nachos. Kick back watching the game on four large-screen TVs. Come hungry or order room service until 10 PM. Things To Do In The Area: Known as the "Live Music Capital of the World," Austin is home to many famous bars, nightclubs and concert venues. It's also a diverse travel destination, featuring museums, theater, ballet, and incomparable outdoor recreation. From sprawling lakes and natural limestone pools to family parks and hiking trails, there's a seemingly endless array of attractions within minutes of our ideally-located Austin hotel. From scenic lady Bird Lake to the 6th Street Entertainment District, you'll find Austin's most alluring attractions just outside our front door. Other Amenities: The Holiday Inn & Suites Denver Airport offers amenities such as free high-speed internet, fitness center, indoor pool and in-house restaurant Tower Tap and Grill. Shuttle Service Info: No airport shuttle service. Other Amenities: Heated outdoor pool and whirlpool. Fitness center. Discover our family-friendly amenities at Holiday Inn Anaheim – Soak up the California sunshine in our Splash Zone water playground with several water features including water cannons, Gus the gator, Jeremiah the bullfrog, giant flowers, ground jets, and a towering helicopter. Take a dip in the heated outdoor pool and relax in the soothing whirlpool. Our Splash Zone for the kids is now open. Enjoy many water features, cannons, ground jets, and a 16ft. helicopter. We are within walking distance of Downtown Disney and the “secret” park entrance at the Monorail Station next to Rainforest Cafe! We sell Disneyland Tickets at our front desk. Enter Disneyland from above on the monorail only 15 minutes. Things To Do In The Area: Discover all the family-friendly attractions near our holiday inn & suites with our area guide. Locations such as Disneyland and The South Coast Plaza shopping center are just a minute away from our Holiday Inn & Suites. Other Amenities: The Holiday Inn Portland Airport offers amenities such as free high-speed internet, fitness center, indoor pool and in-house restaurant and lounge Latitude 45 Degrees. Just two minutes from the airport's MAX Light Rail terminal and 10 miles from downtown. Tax-free shopping at Cascade Station is just minutes away and the complimentary shuttle will gladly take you to both Cascade Station and Max Light Rail station at Cascade Station. Things To Do In The Area: With majestic Mt. Hood, awe-inspiring views of the Columbia River Gorge and Multnomah Falls to the east and the rugged, pristine shores of the Pacific to the west, you might have a hard time fitting everything into your schedule when you're our guest.Don't miss the thrills of an NBA Trail Blazers game, the tunes of a major concert or a family-friendly event. They are all a part of the schedule of the Rose Garden Arena, just eight miles from the Holiday Inn Portland Airport. Before you leave the hotel, ask our front desk staff for a restaurant to visit while downtown.The beloved International Rose Test Garden in Portland, OR and our hotel guests are a match made in heaven. This spectacular, 4.5-acre garden is home to more than 8,000 gorgeous roses, breathtaking views and the signature landmarks of the "City of Roses!" Forget your raincoat and umbrella? Don't worry! As a guest of this hotel in Portland, take our free shuttle to Cascade Station for tax-free shopping. We can also get you to the airport on time. We ask that you schedule your travel times in advance. Other Amenities: Welcome to Crowne Plaza AiRE MSP Airport - Mall of America, where you’ll find all the upscale luxuries and modern conveniences to make you feel at home during your travels. Our hotel with a pool in Bloomington, MN boasts the largest indoor saline pool in the area! Make a splash, or take advantage of the rest of our well-appointed facilities, including over 18,000 square feet of flexible meeting and event space. Our Bloomington, MN hotel offers an indoor pool, 24-hour fitness center, shuttle services, exclusive Club Lounge perks, and much more. Whether you’re in town for business or leisure, the abundance of fun things to do in Bloomington, MN ensure there’s never a dull moment during your stay at Crowne Plaza AiRE! Landing in the Minneapolis-Saint Paul International Airport brings you to all the excitement the Twin Cities has to offer. Hotel: Baymont Inn & Suites Bridgeport/Frankenmuth - Just 2 Miles from SST Office. Distance From Airport: 103 Miles (about 2 hours) from DTW Detroit Metropolitan Airport or 30 Miles (about 34 minutes) from MBS International Airport or FNT Flint Bishop International Airport. Other Amenities: The Baymont Inn & Suites Bridgeport/Frankenmuth hotel is conveniently located off I-75 (about a 5-minute drive to the SST Offices), midway between Bridgeport and Frankenmuth, with easy access to Saginaw and local attractions. They offer amenities such as free breakfast, free high-speed internet, fitness center, and indoor pool. Things To Do In The Area: Visit the Candlelight Bowling and Banquet Center. Head to Birch Run Prime Outlets, live hot rod action at Dixie Motor Speedway, or get a taste of local culture in Frankenmuth, home to Little Bavaria in Michigan — all less than 10 miles away. Pay a visit to nearby Saginaw, Mid-Michigan Children’s Museum, or Wilderness Trails Zoo. See a concert at the Dow Event Center or ride your own dirt bike at Baja Acres Motocross Track. Since our webinars are for Members only we have to manually assign a webinar attendance link to each individual. This takes some time, but you can expect to receive your official webinar login link shortly. Don't worry, we'll be sure you have your link well before the webinar starts.